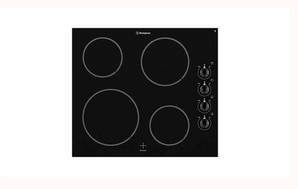 Snapshot: The Westinghouse WHC642BA ceramic cooktop has 4 elements, and dial controls. How well does it cook? Has a large and ‘simmer’ (small) element at the front.